As the original rhythm section for the American rock band Heart, bassist Steve Fossen and drummer Michael Derosier are the powerful driving engine behind the band’s classic hits like Barracuda, Straight On, Crazy On You, Magic Man, Even It Up, Dog & Butterfly, Heartless, Kick It Out, the list goes on. Their incredible career with Heart established them in the annals of rock history, further proven by their 2013 induction into the Rock And Roll Hall of Fame. 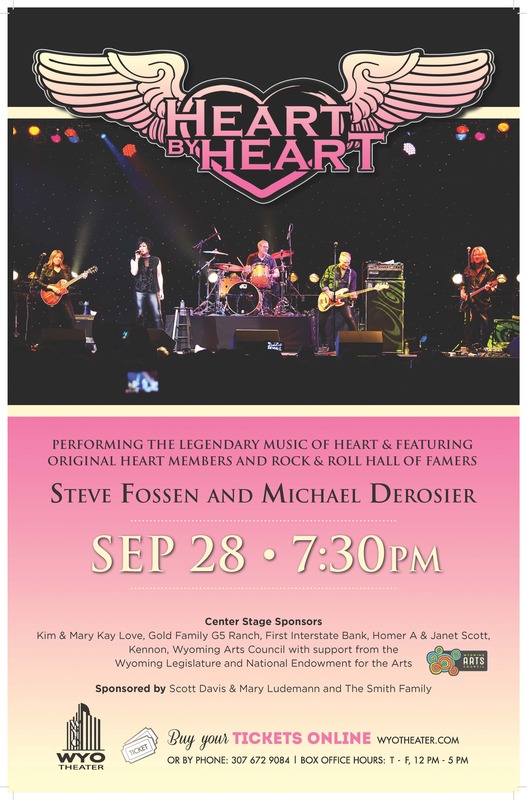 Now Fossen and Derosier are back together with HEART BY HEART, a new band dedicated to performing the legendary music of Heart in the most genuine way possible. Featuring powerhouse vocalist Somar Macek, multi-talented guitarist/keyboardist/vocalist Lizzy Daymont, and veteran guitarist Chad Quist, this incredible lineup considers it their responsibility to bring the songs to the stage in their original form, bringing back the memories by playing the songs as written and recorded. 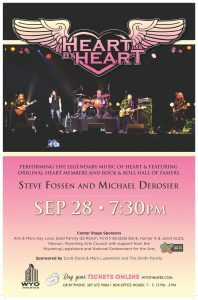 When it comes to Heart music, having Mike and Steve on stage gives HEART BY HEART an authenticity no other band can match.